Here is an image taken on Royal Yacht Britannia. Can you identify these sailors? 6 Responses to Guess Who Bunts! ?? 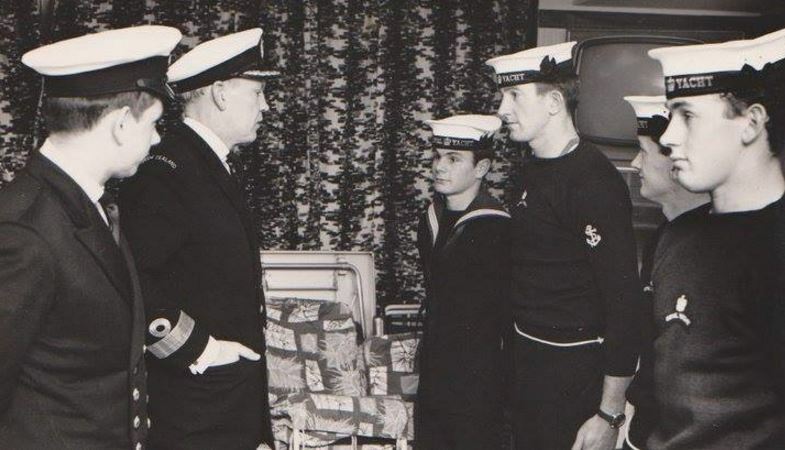 ?, Commodore Thorne, Signalman John Titmus, PTI Garry Pettis, ??? ?, ???? john titmus on the left. Is the taller person Gary Pettis? I don’t think John Titmus was a killick then.